Hey guys, releasing my first custom ASM here! 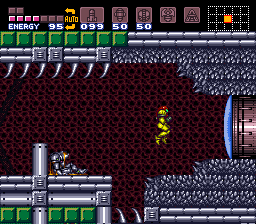 It's a super duper simple patch which makes left- and right-facing Eye Doors (Gadoras) vulnerable to charge beam, like they are in Zero Mission and Metroid Fusion. 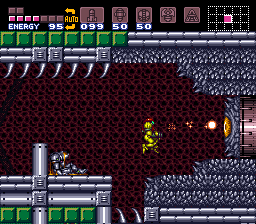 This was featured in my hack Metroid: The Blue Plague. Since this patch also repoints the eye door's hit detection routine to freespace, it'd be super easy to make eye doors vulnerable to whatever you want with a little asm knowledge, especially if that is other beams. Should be pretty self-explanatory! If you have any issues, please let me know. It uses about $2B bytes of free space in bank $84, change the label at the top of the file to change the location. Special thanks to Kejardon, who really helped me understand these routines, to Smiley for pointing me in the right direction, and to Scyzer for helping me a bit with labels and stuff.